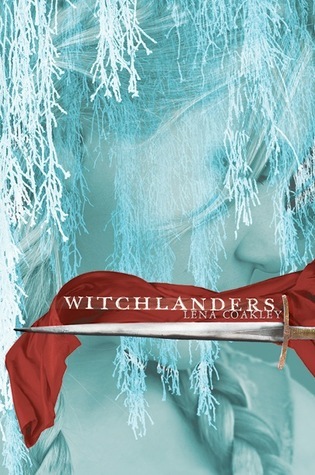 Goodreads summary: "High in their mountain covens, red witches pray to the Goddess, protecting the Witchlands by throwing the bones and foretelling the future. It’s all a fake. At least, that’s what Ryder thinks. He doubts the witches really deserve their tithes — one quarter of all the crops his village can produce. And even if they can predict the future, what danger is there to foretell, now that his people’s old enemy, the Baen, has been defeated? Because, seriously, it was THAT amazing. I absolutely loved it, I cared deeply for all the characters and they've created a little place for themselves in my heart. Especially Bodread, I think he'd guard it quite nicely as well. I want to be friends with these characters, hug them when they're sad, sing with them. The only problem I have with this book is that the author told me she's not sure there willl be a sequel. I NEED a sequel! I'm not done having adventures with Falpian and Ryder and would love to see the Bitterlands for myself. This SHOULD be a series. Well, okay then! Making an order card! The cover confuses me, though - I guess that's supposed to be the witch, but if the main character is male, it's a bit misleading. From your description it sounds like a book our male readers would like, but I don't know that they'd get past the somewhat romantic-looking cover. What do you think? "This book is why I love fantasy." I thought the exact same thing when I finished Witchlanders! It did so many things right, and reminded me of why I love epic fantasy adventures. Glad you loved it! @Ashley: I know, the cover is meh, but the story is amazing! Wow, I'm really surprised that the author said there might not be a sequel! I thought this book was DEMANDING a sequel at the end. Like...what happens to Ryder and Falpian?! There are tons of unanswered questions!! I loved this book, too though! Yay! !